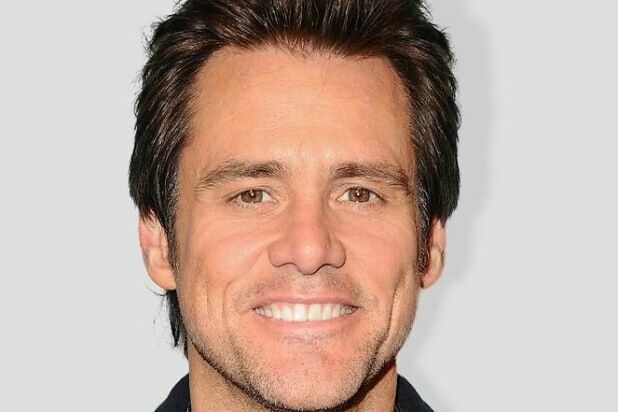 Would Jim Carrey weigh in on Trump’s attempted clarification of his stance on whether Russia interfered with the 2016 presidential election? We don’t see why he wouldn’t. And that’s exactly what actor/artist Carrey did with his latest artwork on Wednesday night. 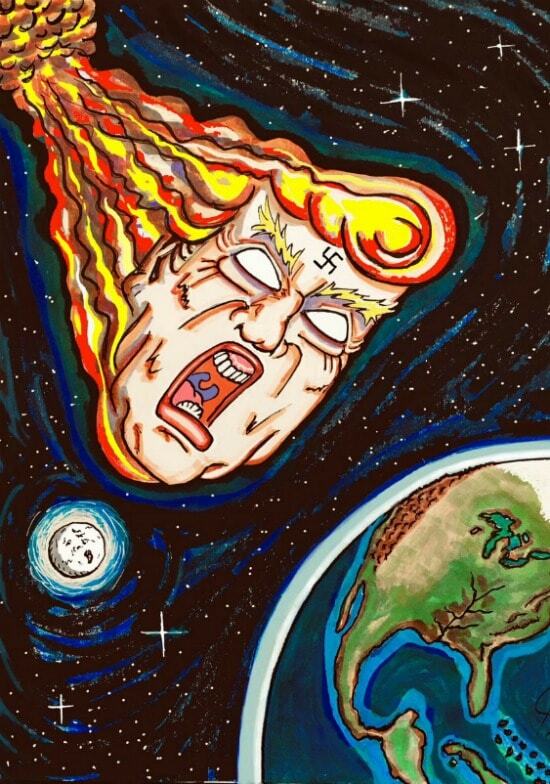 Carrey’s most recent work, posted to his Twitter account, was light on the biting humor that has marked many of his pictorial criticisms of Trump. In fact, it was somewhat stark and not a little somber. The latest offering featured Trump and Russian leader Vladimir Putin, with the words “would” and “wouldn’t” imposed over them in bold letters over and over again. And rather than his typical wordplay-laden captions, Carrey simply included a link to the voter-registration site Vote.org as an accompaniment to the image. On Monday, Trump and Putin took part in a joint press conference, during which Trump was asked if he would rebuke Putin for Russian interference in the 2016 presidential election. Trump sided with Putin and against the conclusion by U.S. intelligence organizations that there was a coordinated social media and hacking campaign in 2016, and that Russia was involved. On Tuesday, Trump attempted to “clarify” his remarks by claiming he actually meant the exact opposite. “I said the word ‘would’ instead of ‘wouldn’t’ and the sentence should have been: ‘I don’t see any reason why it wouldn’t be Russia,'” Trump told reporters. Gotta give Carrey credit with this one; unlike some people, he knows how to make an unambiguous statement.